Acupuncture is incredibly effective in the treatment of allergies, asthma and sinus infection. 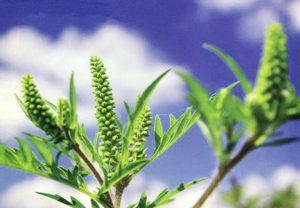 In Traditional Chinese Medicine, we say that all allergy, asthma, and sinus problems are due to lung failure to distribute body fluid; instead it distributes damp and phlegm to nose, eyes and ears, further it causes blocking them and results in difficulty breathing, coughing, and wheezing, and nasal congestion. There are some points located on the scalp that are most effective in treating these conditions. Dr. Han, our licensed acupuncturist in West Hartford, Connecticut will apply hair-thin acupuncture needles on those points in order to help opens your nose, eyes and ears right away. Most of time, the patient feels that their nose is opened in one second as the needle is inserted. You can even see improvement within one session. We usually recommend 3 – 4 sessions for the best result. For more information about acupuncture for allergies in Connecticut and if it right for you, please call us at (860) 502-9462 to schedule a FREE consultation. Are you looking to receive acupuncture in West Hartford in Connecticut? We take pride in helping our community in West Hartford, Hartford, Avon, Simsbury, Windsor, Farmington, New Britain, Bloomfield, Cheshire, Middletown, Enfield and more across Connecticut.